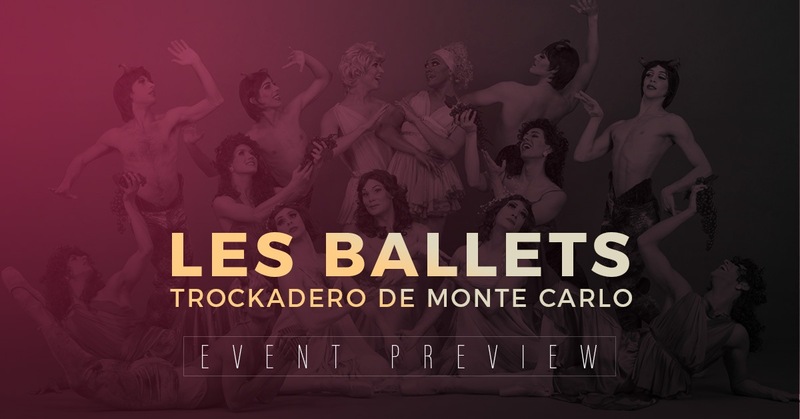 The all-male comic ballet company Les Ballets Trockadero de Monte Carlo has been delighting audiences of all ages for more than 40 years. The group will bring their fabulous sense of fun, flawless dance technique, and over-the-top frivolity to Livermore this coming Thursday, Jan. 31 in their first visit to the Bankhead Theater and their only stop in Northern California this season. Established in New York in 1974, The Trocks original concept has never changed. The group revolves around professional male dancers performing classical and original ballet and modern dance repertoire, in faithful renditions of the manners and conceits of those dance styles. The comedy is achieved by their exaggeration of the foibles, accidents, and underlying incongruities of serious dance. The Trocks first performed in the late-late shows in Off-Off Broadway lofts, where their unique combination of talent and fun quickly brought them artistic and popular success. The Trocks’ busy tour schedule has taken them to 34 countries and over 600 cities, where they are loved for their sassy spoofs, parodies, and hilarious homages to the traditional classical ballets. Please note that tickets have sold rather quickly for the single performance on Jan. 31 at the Bankhead Theater. The $20 regular ticket level is already sold out, although discounted tickets for students and active military personnel are still available at that price. As with any event at the Bankhead, please contact the LVPAC box office should you need student, military, or ADA tickets. As a friendly reminder, please be aware of the following policies. No exceptions can be made. Every audience member, including children, must have their own ticket to enter the theater. ADA seats or spaces are for wheelchairs only. All veterans and military personnel must show their identification in order to receive a discounted ticket. Can’t remember the last time you took in a performance? Then we encourage you and your family to check out the Bankhead Theater in Livermore. For more than a decade, this venue has brought together various artists and audiences for incredible live performances. Whether it’s Les Ballet Trockadero de Monte Carlo or another group, the Bankhead provides a uniquely intimate environment. Plus, if you’ve been to the Bankhead Theater before, you know the venue has perfect acoustics. We are more than just another performing arts center in Northern California. Come see what the Livermore Valley Performing Arts Center is all about.